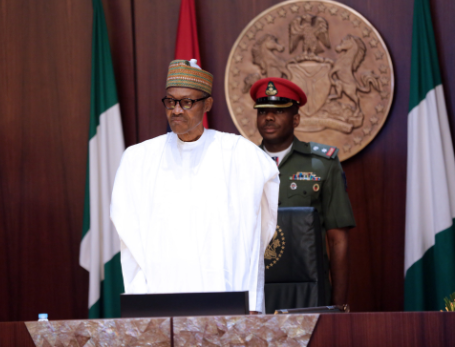 President Buhari showed how out of touch he is at last week’s council meeting – Tosin Adesina – Royal Times of Nigeria. One of the inadequacies of the Muhammadu Buhari Presidency is how it has managed to sustain a level of disconnection with its citizens. Since his inauguration as the president, Buhari has stayed apart from some of the more important events that happens to us as a nation. Even when internally displaced persons in Rann Borno state were “accidentally” killed by the military, all he did was send a delegation to ‘sympathize’ with the families of the dead and called it a day. This culture of silence by the president has remained the forefront issues his critics have employed to nail him over time, however the culture of silence is not propelled by his ignorance but a deliberate attempt to stay away from his responsibility as he is fully abreast of happenings in the country. He chose to show how informed he was about national issues on Thursday February 22, 2018 at the council chambers during the council of state meeting but he goofed. The president before taking his seat moved round to exchange pleasantries with attendees, while it was the turn of the Kaduna State Governor he asked Governor El-Rufai ‘how is the bulldozer?’ while he simply asked Governor Ortom of Benue state “how are your cattle rearers”. The two statements above represents insensitivity to human plight on the part of the president as the issues that warranted both remarks are acts of human right abuse. In the case of Kaduna, the bulldozer was used to demolish the house of a serving Senator by Governor Nasir El-Rufai which was a flagrant abuse of power as earlier addressed on this blog. The occurrence at Benue was a national disaster as humans were slaughtered by suspected Fulani herdsmen, the President never paid a condolence visit to the state neither has the perpetrators been brought to justice. It simply shows the level of non commitment of the government to get Justice for all the lives that have been lost in Benue attacks. For the President to make a joke out of this is a poor display of effective communication skills which he lacks as he has done this repeatedly. His infamous 97% and 5% statement was another evidence of his poor communication skills. Buhari should learn to be Presidential with his communication. Tosin Adesina is a political and public analyst. He writes for YNaija. Nigeria’s New Minimum Wage; Is That All?